With over 30 years of experience specializing in termite control and eradication, you can count on Easy Termite. We offer an extensive range of services designed to eliminate your termite problem, including free inspections, 24-hour emergency termite pest control, follow up inspections, move out specials, termite fumigation and much more. Contact us today and put your pests to rest! Few things can cause damage to a home or business as quickly or extensively as a termite infestation. What’s worse, these pests can breed destruction out of sight for extended periods of time, creating damage that’s costly and devastating when they’re finally found. It takes an insightful professional to locate termites and eradicate them before they have a chance to ruin your home or business. Easy Termite is here to offer you a full scope of pest control in Los Angeles, CA, designed to protect and absolve you of termite troubles. 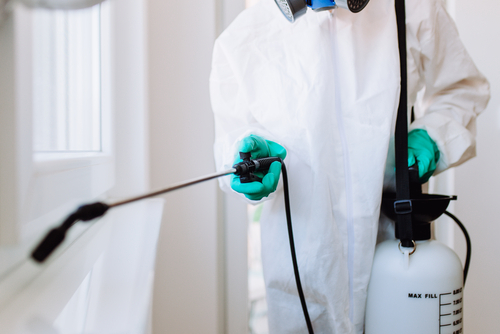 From pretreating your home against an invasion, to fumigating and spraying existing colonies, we do it all so that no termite is left behind to cause you headaches. We’re pleased to offer a completely FREE termite inspection for all customers. Our services are designed to eradicate all types of termites, including drywood termites, subterranean termites, beetles, swarmers and more. Our services are available to both residential and commercial facilities and customers. We’re authorized to perform escrow inspections. Living with termites is a problem that can’t wait. For a swift and thorough solution, call the professionals at Easy Termite. We’re ready to offer you a free inspection today! Easy Termite has been providing premier termite extermination services to affected homes and businesses in Los Angeles County and the San Fernando Valley for over 15 years. "So my moms porch was being destroyed by Drywood Termites as Kim calls them. That is the name of the lady from Easy Termite that helped us ou..."
"Easy Termite was knowledgeable, friendly, and did a fantastic and overall professional job. The entire team seemed very understanding to our..."
"Had an absolutely wonderful experience with this company Easy Termite. I had an absolutely terrible infestation of Drywood Termites, they se..."